Intent on expanding into gene therapy, Roche has agreed to acquire Spark Therapeutics for $4.8 billion cash, Spark said today, in a deal that would add the marketed Luxturna™ (voretigene neparvovec-rzyl) and a pipeline of other gene therapies to the biopharma giant’s portfolio. Spark made history in 2017 when it won FDA approval to market Luxturna as the first gene therapy ever authorized to treat an inherited disease in the U.S., following an advisory committee’s unanimous recommendation. Luxturna has also been authorized for marketing in the European Union, where it is marketed by Novartis. Fidanacogene elaparvovec, (previously SPK-9001), an investigational bio-engineered AAV vector using a high-activity F9 transgene for hemophilia B, or factor IX deficiency. Last year, development of the candidate transitioned to Pfizer, which initiated a six-month run-in portion of a Phase III clinical trial in July 2018. SPK-8001, an investigational gene therapy for hemophilia A, or factor VIII deficiency, which advanced last year into Phase III development. SPK-8016, an investigational gene therapy for hemophilia A, or Factor VIII deficiency, which in 2018 entered Phase I/II clinical trials. SPK-7001, a choroideremia gene therapy now in an open-label, dose-escalating Phase I/II trial designed to assess the safety and preliminary efficacy of subretinal administration. Spark said it will continue operate as an independent company within the Roche Group, and will continue its operations in Philadelphia—where the company was spun out of Children’s Hospital of Philadelphia’s Center for Cellular and Molecular Therapeutics in 2013 with a $50 million Series A financing. Roche agreed to commence a tender offer to acquire all of the outstanding shares of Spark Therapeutics’ common stock at a price of $114.50 per share in cash—a premium of 122% over Spark’s closing price on Friday. 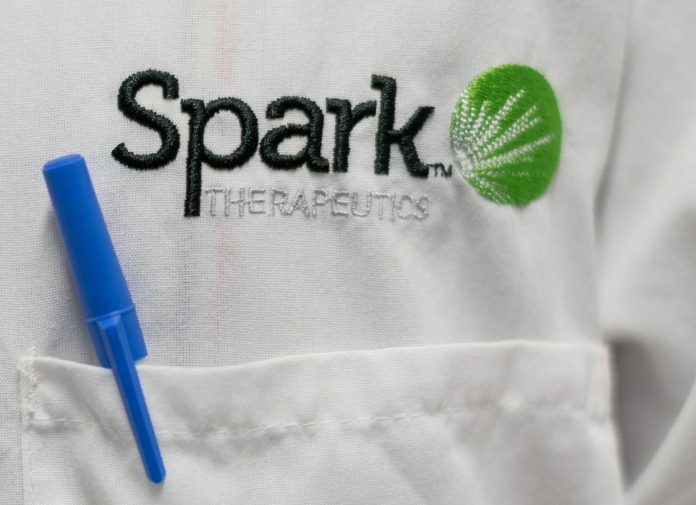 The closing of the tender offer will be subject to a majority of Spark Therapeutics’ outstanding shares being tendered. Following completion of the tender offer, Roche agreed to acquire all remaining shares at the same price of $114.50 per share through a second step merger. The boards of both Spark and Roche have approved the acquisition deal, which is set to close in the second quarter, subject to the tender offer plus expiration or termination of the waiting period under the Hart-Scott-Rodino Antitrust Improvements Act of 1976 and other customary conditions.